The Penrith Lakes parklands rehabilitation is a major restorative project to develop an industrial sand and gravel quarry into a regional park and water recreational area. 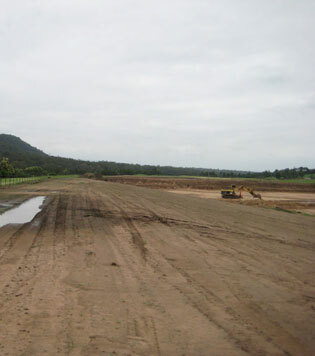 The Penrith Lakes parklands rehabilitation is a major restorative project to develop an industrial sand and gravel quarry into a regional park and water recreational area. 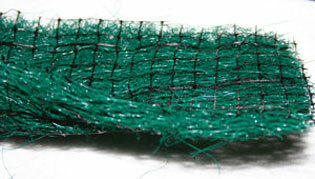 Permathene has been involved with the development by supplying North American Green Turf Reinforcement Mat (TRM) and jute matting. These products assist in providing long-term solutions during the process of establishing a natural ecosystem. The developers were looking at alternative ways to apply the mat to ensure stability as quickly as possible with the use of turf as opposed to seeding to see which method would be the most feasible for laying and performance long-term. Three methods were taken into consideration to trial to see how the turf and mat perform together, changing different variables such as the amount of soil used in the application. Permathene TRM (Turf Reinforcement Mat) P300 was selected as one of the methods, and after trials, it achieved great results and was adopted for this project. 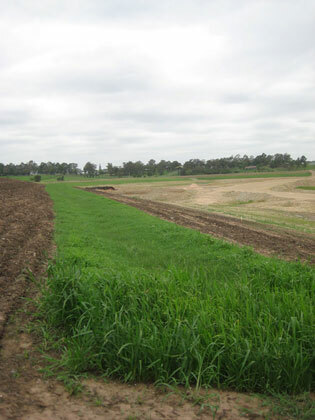 Penrith Lakes parklands rehabilitation has installed Vmax P300 along drainage channels for the purpose of the establishment of local native grasses. In the one month trial, crews installed some of the reinforcement mat in a swale that has a catchment to see how it behaved in the event of a storm.